Located in lively Hell's Kitchen, 411 9th Avenue is a mixed-use residential building with commercial space at the ground floor and 12 residential units throughout the buildings' 7 stories. 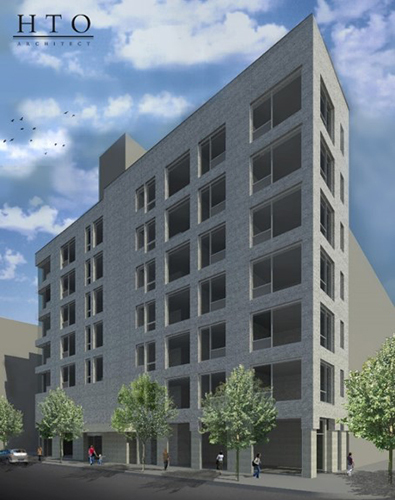 Featuring a sleek façade comprised of grey brick and adorned with windows, the building will allow for units flooded with natural light and will be a welcome residential addition to the neighborhood. We worked with the NYC Department of Housing Preservation to ensure off-site inclusionary housing availability, though it was ultimately not elected for in the building's program. For our clients at 411 9th Avenue Condominiums LLC.